Reaction was strong from Norway’s political and intelligence community, and not least the media. “In less than a week, the USA’s president created unease at the NATO Summit in Brussels, insulted most people he met in London and then presented himself as a friend of (Russian President) Vladimir Putin in London,” began the main editorial in national newspaper Aftenposten on Wednesday. It went on to assess just “how bad” the situation really is, concluding that instead of promoting security policy in a troubled world, Trump was doling out just the opposite. Trump, facing a torrent of criticism from even some of his most conservative supporters when he returned to the US on Tuesday, was ultimately forced to “clarify” the inflammatory remarks he made after his meeting with Putin in Helsinki on Monday. He offered no apologies but claimed he merely misspoke during remarks that suggested he had more trust in Putin than in his own country’s intelligence services. After blasting US allies in Europe both at the dramatic NATO Summit and later in London, and then lavishly praising Putin, some US officials were accusing Trump of treason. 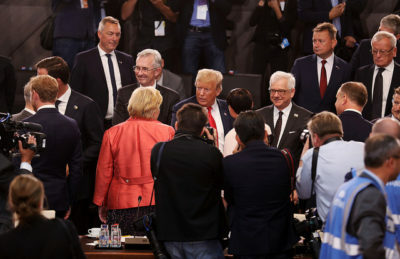 On Wednesday Trump made more claims that despite all his criticism last week, the US remained committed to NATO and that he thought he personally had strengthened the alliance. He dismissed accusations he had discredited his own intelligence services. Bondevik, a former leader of the conservative Christian Democrats party (Kristelig Folkeparti, KrF), was frank in an interview with newspaper Dagens Nærringsliv (DN) before Trump had to retreat, at least a bit. “I am upset and uneasy that an American president can behave in this manner,” Bondevik told DN. 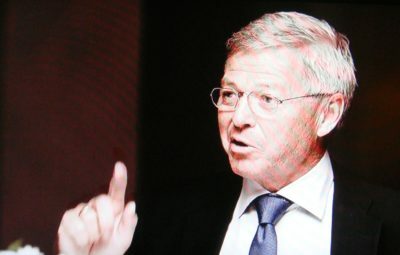 Bondevik speaks from experience, after becoming one of the first Norwegian leaders to visit a US president at the White House in several years at the time, but then refusing to go along with George W Bush’s request to back his controversial invasion of Iraq. Bondevik offered only humanitarian assistance afterwards instead. That brought Norway into disfavour with Washington but Bondevik, a former pastor, remained firm in his convictions that invading Iraq was a bad idea. Many have since agreed. Anniken Huitfeldt, who leads the Norwegian Parliament’s defense- and foreign affairs committee, agrees that it’s important to separate what Trump says from what the US does. 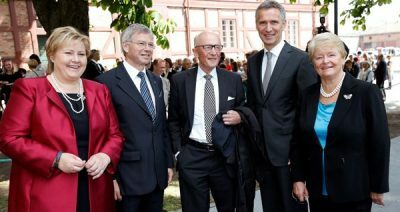 “One thing is what Trump says and what words he uses towards his own allies,”Huitfeldt, who represents the opposition Labour Party, told Norwegian Broadcasting (NRK), “but in the (NATO) declaration, he has committed to the most important core values in NATO.” She was shaken nonethless by hearing Trump cast doubt on the findings of his own US intelligence. Espen Barth Eide, another former defense- and foreign minister, wrote in a commentary in DN on Wednesday that he’s also concerned over all the uncertainty Trump is constantly creating. Eide, of the opposition Labour Party, wrote that Trump’s European tour has not only “left scars that will take a long time to heal,” but that his erratic behaviour actually “may not be as chaotic and unpredictable” as it seems. Eide fears that European leaders along with those in the US may be making a mistake in trying to downplay Trump’s behaviour. Too many may dismiss Trump as being “perhaps unpredictable” with a “different style,” and cling to the belief that the workings of government in the US will continue as before. Prime Minister Solberg’s former and current foreign ministers have both stressed that it’s necessary to “look beyond all the tweets” from Trump and look at what the US is actually doing. Then it can be reassuring to see that the US is actually placing even more troops in Europe, boosting its own defense budgets and working hard to douse the fires Trump starts by, for example, sending out the US Defense Secretary to reassure European allies like Norway. 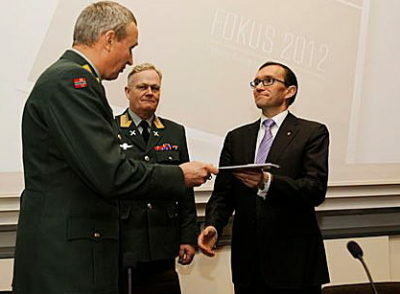 Eide wrote that he also hopes things “will continue as before” regarding US relations. “The problem is that I’m not convinced,” he wrote. He notes that Trump has in fact been doing what he said he would, putting “America (and himself, many claim) First,” lashing out at all the countries he claims have exploited US generosity over the years, and being highly skeptical to international institutions, alliances and multilateral agreements. Trump’s core voters applaud him for putting foreigners in their place, acknowledging Putin as the vigorous national leader that he is and challenging the liberal elite both at home and elsewhere in the world. “Trump may have overplayed his role in Helsinki (with Putin), but don’t ignore the possibility that he in fact knows what he’s doing,” Eide warned, in ushering in fundamental and long-lasting changes in how the US operates. Hilmar Mjelde, a Norwegian researcher at the University of Bergen who specializes in US politics, says Trump’s style is to first shock and offend his counterparts, and then praise them. He thinks Trump uses his angry rhetoric beforehand, but is actually conflict-shy in direct dealings. The rhetoric can simply be a negotiating tactic. 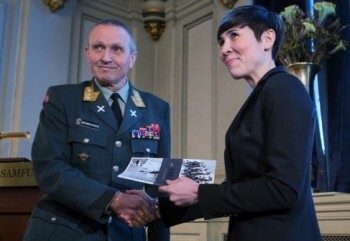 Perhaps the most chilling reaction in Norway to the trauma Trump inflicted on Europe last week came from a retired general and former head of Norwegian military intelligence Kjell Grandhagen. He suspects that what he calls “a Russian x-factor” is behind Trump’s “otherwise completely incomprehensible” remarks that were “fawning” towards Putin. “There must be something in the relation between Trump and Russia that we don’t know yet,” Grandhagen told DN on Wednesday. It’s the only thing, the former intelligence chief said, that can explain why Trump stood next to Putin in Helsinki and said that he basically believes as much in Russia’s and Putin’s denials of any meddling in the 2016 elections as he does in the US’ own intelligence experts. “It was just incredible that he would stand there fawning for Putin,” Grandhagen said. “He completely let down the US as a nation and didn’t raise American viewpoints at all.” He urged viewing Trump’s week in Europe as an entire entity: First aggressively trying to split his own allies, then visiting London where he discredited and humiliated British Prime Minister Theresa May, and then the famous meeting with Putin.